HubSpot continuously improves their platform to help businesses continue to grow. 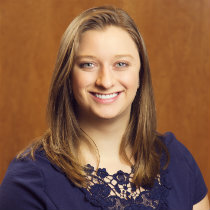 Their goal is to help organizations gain more control over their marketing, sales and customer service efforts with greater customization, while keeping things simple. This year at INBOUND, HubSpot launched a plethora of new features. Even if you didn’t attend the annual conference, you’ve likely heard about the exciting tools they unveiled and are eager to get a chance to incorporate them into your digital marketing strategy. Here we’ll take a look at some of the updates and cool new HubSpot features you may see in your portal over the next few months. HubSpot has opened the door to a variety of options for businesses both big and small to get started or grow within the platform. Because different types of marketers need access to different tools, HubSpot has made various packages available depending on your needs. In addition to the standalone CMS, Marketing and Sales Hubs comes the much anticipated Service Hub, which will help teams fully integrate their efforts from inception to customer to evangelist. For organizations that want to create a more transparent and cohesive process between marketing, sales and customer service, HubSpot offers one tech stack referred to as the Growth Suite. This powerful package gives marketers access to the unique features and tools from each hub all rolled into one. In the spirit of growth, HubSpot’s new features are designed to help businesses scale as their operations and customer base do. As a Diamond Partner, Kuno gets early access to test out these new features and understand how to maximize them for clients. Below we explore some of the tools we’re most excited about applying to our marketing strategy, as well as our client’s. 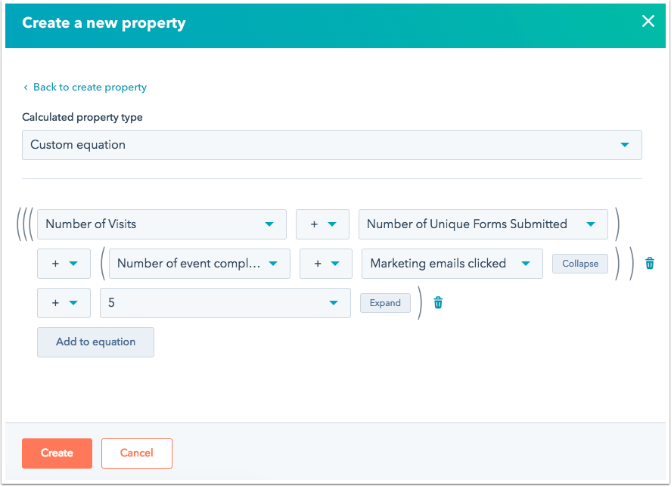 Custom properties have helped make HubSpot the tailored platform it is, but now they’re opening the door to a new functionality: calculated and rollup properties. This feature will help businesses that have long awaited the ability to create custom calculations or roll up data like sales commissions or splits. Or, using properties unique to your business, like number of employees, cost of lease and annual maintenance budget, you could create something like this iOFFICE budget savings calculator without the need for a developer. For those who have opted into the new HubSpot menu, you may have noticed some changes. Within Conversations, you will now have the ability to create bots. The bot editor brings the complex technology associated with AI to the average marketer and makes creating a bot for your website easy. HubSpot begins with a standard template as a starting point and allows you to customize it by adjusting settings such as language, response options and contact properties based on a user’s answers. As bots become more and more popular, this capability is something many businesses can benefit from. A great place for any business to start is with their customer service team. It can be used to answer questions and route specific inquiries to proper departments for follow up more quickly. 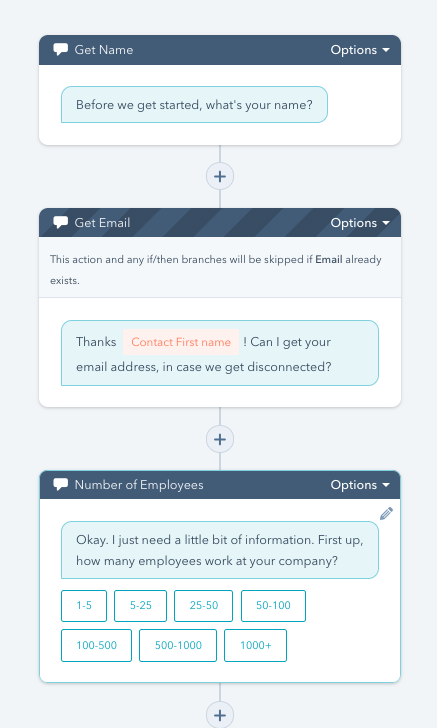 Rather than filling out a generic “contact us” form and waiting for an email, users can communicate through the bot to get conversations started immediately. Bots can collect and update information that will help provide important context to conversations that need deeper insight. See HubSpot’s bot on this page for example. It instantly engages you by asking “Which announcement are you most excited about?” and asks if you’d like to connect with their team to learn more about using it for your business. An exciting new feature for enterprise customers is the ability to lead contacts through the marketing funnel from start to finish—on Facebook. Now you have the opportunity to connect with your audience even if they haven’t been on your website. Where you previously had to push contacts from social to a landing page on your website, you can now have them click a call-to-action (CTA), fill out a form and receive content directly on Facebook via Messenger. This allows you to deliver resources to your audience without disrupting their online experience. Facebook has also enabled broadcasting, meaning in addition to sending content offers, contacts can subscribe to updates via Facebook, giving you the ability to share more engaging content with them directly to their Messenger inbox. This takes social media engagement one step further, meeting users where they spend their time online. We all know how annoying it is to have your inbox flooded with email. As a marketer, it can be difficult to track the emails going out on a regular basis, especially when some are automated. HubSpot’s new email frequency safeguards help you manage this. The new feature lets you set up how many emails your contacts should receive a week to guard them from an overcrowded inbox. Fortunately, it also lets you override this and mark certain emails as high priority, ensuring your contacts will still receive things like content downloads or purchase confirmation emails. A big game-changer in HubSpot’s lineup of new features is CMS membership capabilities. You will now be able to restrict content access to certain audiences or groups of people using lists. This feature will help with creating internal content, partner portals, customer-only areas of your site and even Account Based Marketing (ABM) initiatives. Imagine being able to communicate highly relevant information to each audience just by sharing a portion of your site? You could share updates with your employees about policies and time off, “How-to-Sell” resources with your distributors and early product release information with your loyal customers. HubSpot has been working for a few years now with machine learning and Artificial Intelligence (AI) to create a feature that helps you automate website optimization. Using a testing technique called Multi-Arm Bandit, HubSpot’s platform will begin to recognize what performs best for different customer types (Ex: mobile vs. desktop users) and optimize their user experience for the best option. This continuous testing feature will be an incredible time saver for many marketers who previously had to create manual A/B tests for CTAs, lead-flows and landing pages. Video has been proven to be one of the most engaging forms of content, and if you haven’t started using it already, now is the time. Fortunately, HubSpot has made it easier than ever by partnering with Vidyard to add native video capabilities within the platform. Instead of having to use YouTube or Wistia for all your video needs, you’ll be able to integrate your video with all of your other marketing efforts within HubSpot. In addition to hosting, embedding and viewing analytics, there are a number of other features designed to help you get the most out of your videos. How can your team get started using video? With all of these promising new HubSpot features, your organization will be positioned to succeed. Keep in mind, many of these tools are still being tested and updated. We'll be testing them in our own strategy, tracking their success and sharing how others can benefit from these tools also. Discover other ways HubSpot can give you a positive ROI with our eBook, Improve Your HubSpot ROI: 100+ Questions to Ask.